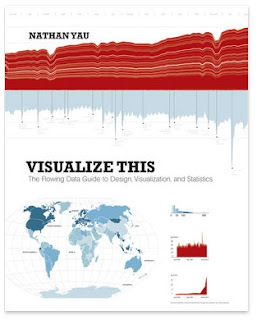 "A book by Nathan Yau who writes for FlowingData, Visualize This is a practical guide on visualization and how to approach real-world data. The book is published by Wiley and is available for pre-order on Amazon and other major online booksellers. Available July 2011."